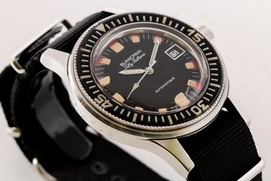 Condition Notes: The bezel is in excellent vintage condition. The crown has some wear on the end. 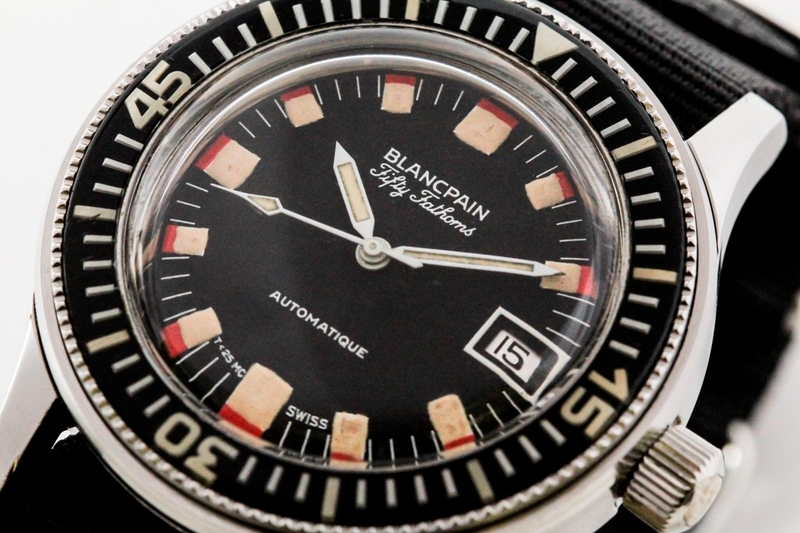 The Blancpain Fifty Fathoms Barracuda is extremely rare and historically important military dive watch. 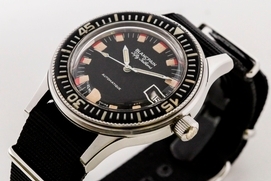 Only about 150 are known to have ever been produced. 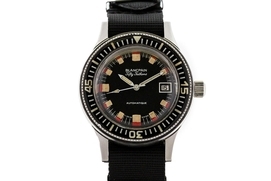 The distinguishing feature of "Barracuda" are the two-toned indexes. 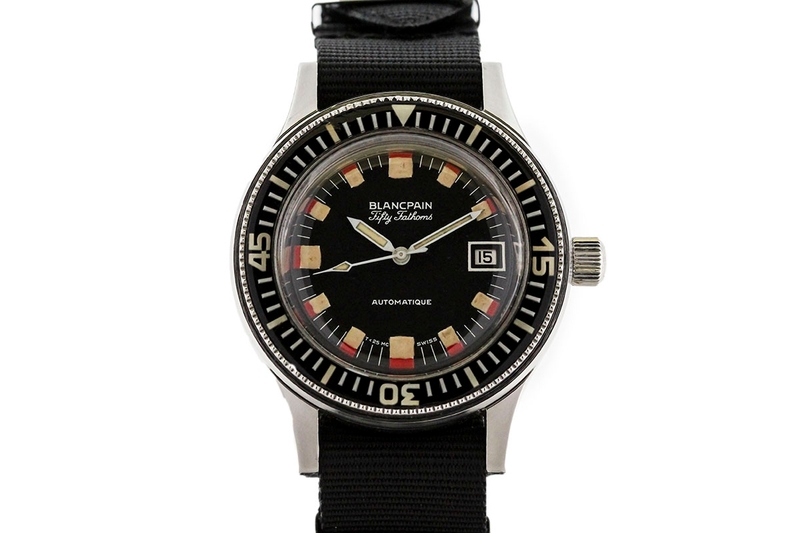 This watch is powered by a caliber 1902/03, 17-Jewel automatic movement. 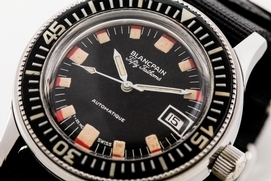 The original dial and bezel are in excellent condition. 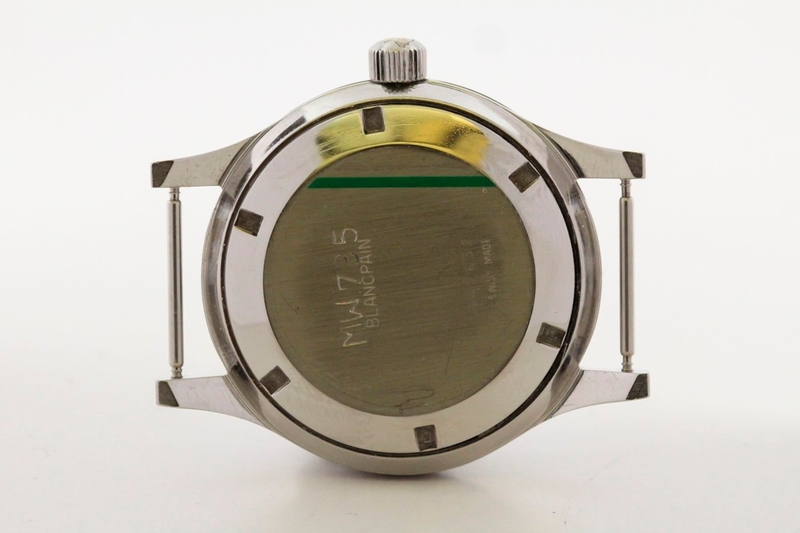 The engraving of the Polish military MW numbers are clear and sharp on both the back case and side.